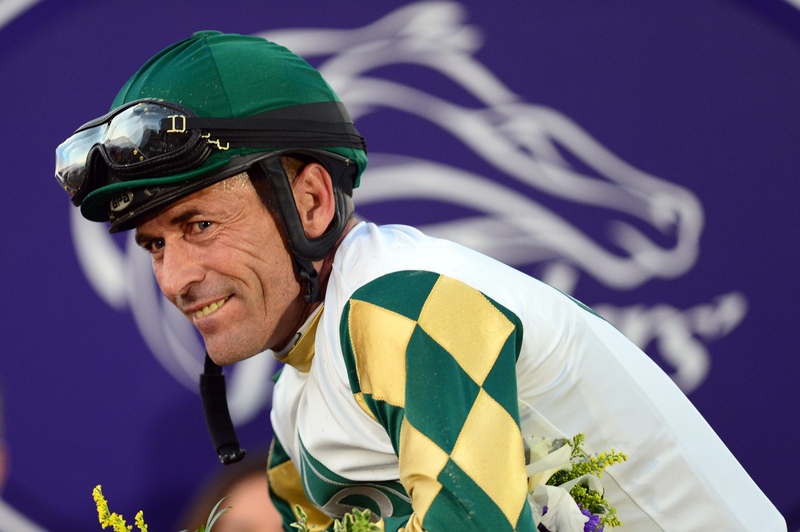 Gary Stevens says he doesn't have anything to prove, but at 52, Stevens will be the oldest Kentucky Derby jockey competing Saturday at Churchill Downs. "A lot of these guys weren't even born when I won my first Kentucky Derby," Stevens told CBS News. Stevens and the horse he's riding, Firing Line, are serious contenders with at 12-1 odds out of a pool of 20 horses, and Stevens could find himself in the Winner's Circle he knows all so well. Stevens has had a long career as a professional jockey. With 36 years on the track, he has already had three-time wins at the Kentucky Derby, Preakness Stakes, and Belmont Stakes. At the Santa Anita Derby, Stevens has won nine times. But it wasn't always an easy ride for the U.S. Racing Hall of Famer. He's had a number of serious injuries that threatened to end his career. In 1985, a horse threw him into a rail at Santa Anita during a starting gate test, which tore his right shoulder and knee, gave him a concussion, and ruptured his eardrum. Stevens was in a coma for 16 hours. That knee injury never fully recovered, and he later discovered he had torn his ACL. During a 2003 race, Stevens was tossed from his horse and trampled under the hooves of his competitors' horses. By 2005, Stevens retired for the second time. But Stevens could always still be found at the racetrack. He worked as an analyst and commentator for events. He trained horses and had a stint as a jockey's agent. Launching off a brief cameo in the 2003 film Seabiscuit, Stevens also dove into acting with small roles before landing a five-season TV deal in 2011 to star with Dustin Hoffman in HBO's Luck. The drama was canceled after one season. Stevens told The New Yorker he's confident in his chances to win it all Saturday, saying Firing Line is the best horse he's had in more than a decade. I’m more of an asset to a horse right now than I had been for the past 20 years. To be able to do what I’m doing right now, and feel the way that I feel, it’s a miracle.